Keeping your clients and stakeholders well informed about new developments is absolutely key to marketing. 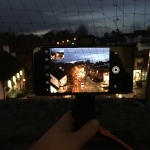 …And one of the easiest ways to do this is by adding news and blogs to your website, but more often than not this is as much as we do. Businesses fail to promote the content once it’s there. 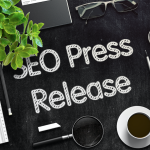 Some people will stumble across your latest news section of your website, but not everyone. It depends on the industry that you’re in, but clients (before they’re clients) may nose around your website and read your news, but once they are clients, it’s unlikely they’ll visit your website on a regular basis. One way to tick the boxes of saving you time and keeping your clients up to date is to automate your email marketing. You can do this simply and effectively by following the steps below. 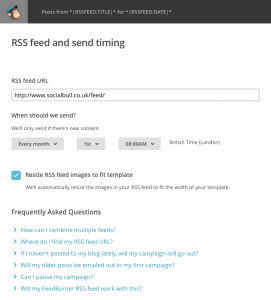 Start by making sure your website has an RSS feed. 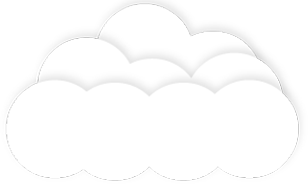 Most modern CMS’ such as WordPress has one. 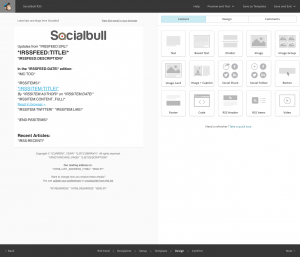 For example a WordPress based website will have a feed such as socialbull.co.uk/feed. Contact your web developer if you’re not sure how to access yours. Click on your username in the top right corner, click on “Profile” and make sure the correct timezone is selected. Change it now if it’s incorrect, as it will save you time later on. 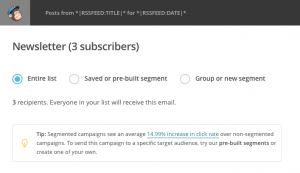 Create a list of newsletter subscribers by clicking “Lists” at the top of the page. Click “Create List” and start adding your subscribers. Make sure you only add people to the list that you know or those that have previously opted to receive emails from you. 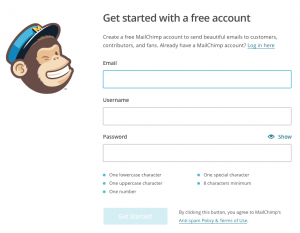 The next step is to create your email campaign. 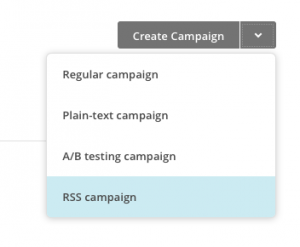 Click on “Campaigns” at the top of the page, click on “Create Campaign” and then select “RSS campaign” from the dropdown. Fill out all of your campaign details. Enter your RSS feed address at the top. If you don’t know it, simply enter your website address and it will try and find it for you. You can also select how often you’d like to send out the email and at what time. Once you have filled out this information, click on “Next >” in the bottom right corner. Select the list of subscribers that you created earlier. 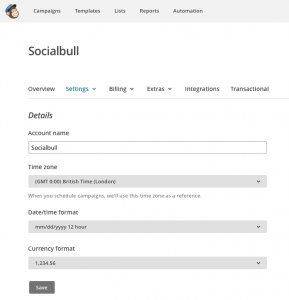 Name your campaign and add a subject line and tick the boxes to track link clicks. 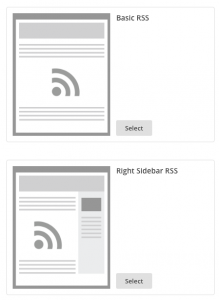 Select the template for your newsletter – select either the “Right Sidebar RSS” or “Basic RSS’ template to use. In the editor add your organisation’s logo plus any other details – you can customise this later, keep it simple to begin with. … and you’re done! Follow any other on screen instructions and click “Start RSS” to start your newsletter campaign. 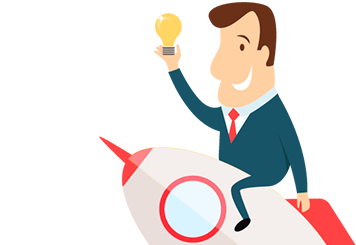 You can use a number of email marketing services out there to create an automated RSS generated email for your clients. 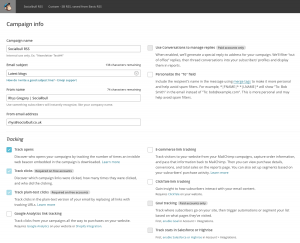 Campaign Monitor is really good for marketing automation and so is MailChimp (and there is a free option). For super advanced solutions, use Infusion Soft.